Would you like the spend a blissful time with family or friends? 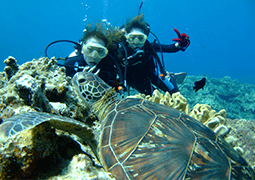 Staff trips or Student diving camps are Okay too! 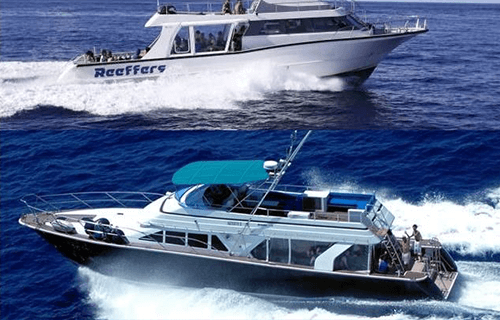 Would you like to charter and spend an enjoyable and luxurious time on one of our impressive cruisers “Reeffers” or “Aquarius”? Having your own private charter with just your family or friends you can experience our unforgettable tours. 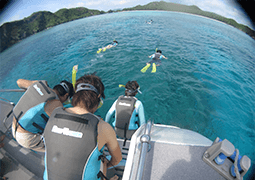 We offer sunset, Whale watching or fireworks tours as well as packages for you to enjoy the relaxing waters of some of Okinawa’s beautiful deserted Islands. 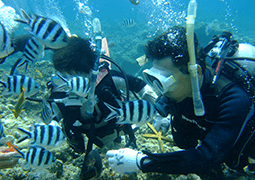 We can offer diving and snorkelling tours for vacations like staff trips and student diving camps. For an added price, you can enjoy your own BBQ and drinks on board our cruisers. We can prepare other services like fishing equipment, Jet ski and marine sports. Let Reeffers show you the best holiday you will ever have. Prices will differ depending on the services you require on your charter. Please contact us by email with your enquiries. 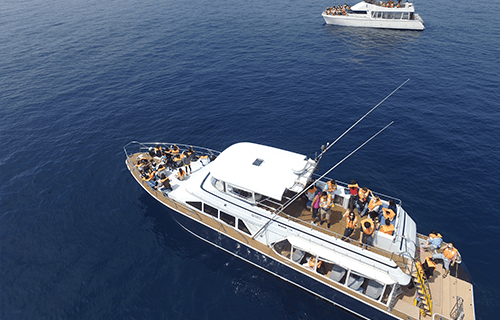 We can also correspond for filming and photography companies wanting to hire a charter. If you are looking to shoot the oceans of Okinawa or looking for transportation, please contact by email with your enquiries. We can also offer staff with underwater photography skills. Prices depend on the cruiser and time that you require. There will be an extra 25% charge during the High season, Saturday, Sundays and Public holidays. Boat fee, Captain, 2 crew members, Insurance. ・Reservations can be made during our business hours 9am-7pm 3 days prior to your desired booking date. ・Once an advance payment has been made your booking will be confirmed. ・Please do not wear high heels on our boat. ・It is possible to bring food and drink on board. There will be a ￥5,400 fee. ・We will refuse customers from swimming after consuming alcohol. 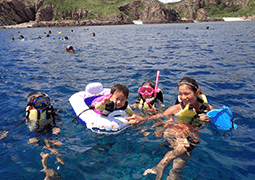 ・Customers who easily get seasickness are asked to take medicine prior to the tour. ・Customers are not allowed to operate the boat. ・Due to bad weather or sea conditions for safety reasons the tour may be cancelled. ・Bookings made during the Golden Week holiday, long weekends, New Years and busy period may be refused. Please contact in advance to discuss your enquiry.